Did you ever think about how hard it is to grow Texas Bluebonnets (which are native only to Texas), or how that very difficulty is itself a telltale evidence of God’s bioengineering artistry? Jared Watkins, a graduate student at Tyndale Theological Seminary, informed me of this worthy observation (based on his independent research), during the summer of AD2016. In fact, he did so shortly after he advised me on some New Testament Greek philology insights, emphasizing how the serious study of wildflowers is a truly Biblical endeavor, according to the Lord Himself. 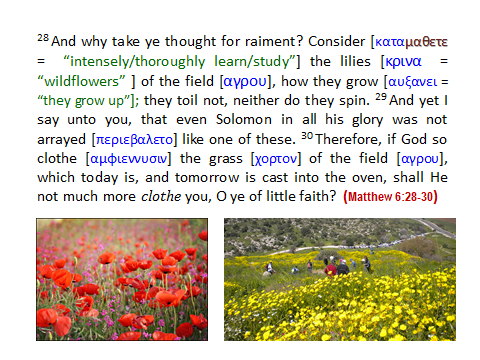 This verse from the Gospel of Matthew (Matthew 6:28-30), which is complemented by a similar passage in the Gospel of Luke (Luke 12:27-28), quotes the Lord Jesus Christ using an imperative verb to direct His then-immediate audience to intensively and thoroughly study and learn about wildflowers of the fields, in order to better appreciate what kind of Creator our God is. Having done so, we should better appreciate how much purposeful planning and providential working God has employed to prepare us for life – abundant life now and everlasting life to come! But do we care how much care God has designed in the flowers of the fields, most of which will never receive a passing glance by any human, during its ephemeral life cycle, much less any prolonged and detailed-observation-based study? 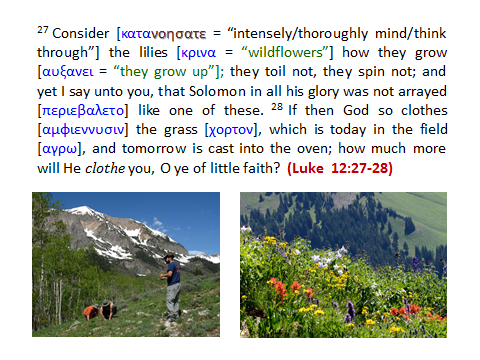 As the parallel passage recorded by Luke indicates, our study of wildflowers should include very serious analysis. If we really think through how much planning and bioengineering work God has invested in wildflowers – and He has! — we will much more easily appreciate how much planning and providence God has programmed and orchestrated into our own lives. (1) More is needed, for Texas Bluebonnets to survive, than sowing their seeds. (2) Even planted properly, Texas Bluebonnets have very specific growth needs. (3) Texas Bluebonnets contain potential diversity, yet only within boundaries. 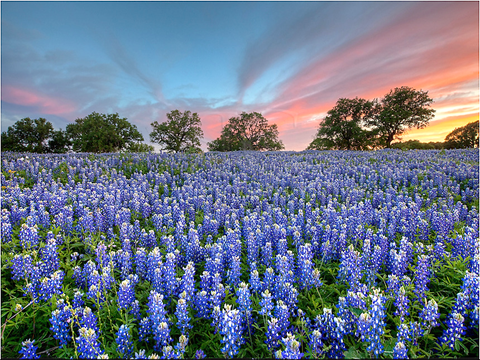 (4) Texas Bluebonnets show God’s big-picture care for ecologically healthy soil. (5) Texas Bluebonnets require fine-tuned design and maintenance, not just luck. To start with, God invented plants (on Day 3) with their necessary seeds contained within all of the original ancestor plants. There would never be any plant reproduction if God had not designed the mechanics for successful plant progeny from the very beginning. So, with proper seeds, life can be reproduced, one generation after another — yet sowing seeds is just the beginning. September and October are the months for planting cold hardy fall annuals which bloom profusely the following spring. This concept is a hard item to sell to most people who are convinced that customarily “April showers bring May flowers”, therefore, they don’t consider planting until April. Nature [i.e., the created arrangement that God preprogrammed during Creation Week], on the other hand, doesn’t need convincing that fall IS the best and proper time for planting winter annuals. A number of spring-blooming wildflowers germinate in the fall, their tops remaining small and inconspicuous while developing a massive root system throughout the winter, then provide us with a riot of color during April and May. The bluebonnet is one of these. Although heat is needed to germinate the seed, cool weather is needed to develop the bluebonnet’s root structure. Basically, cultural practices for the Texas state flower have not been changed or significantly researched in the past century. Because of research supported and funded by the Worthington Hotel of Ft. Worth and thanks to modern agricultural technology, the bluebonnet is finally becoming “all that it can be”, taking its place among our most treasured, hardy bedding plants. The clue to successfully cultivating bluebonnets lies in a knowledge of the seed. The seeds resemble small, flat pea- gravel and are multi-colored with slate blue and light tan being the most common hues. People can now buy bluebonnet seed which will germinate and begin growing within ten days rather than the months required previously. 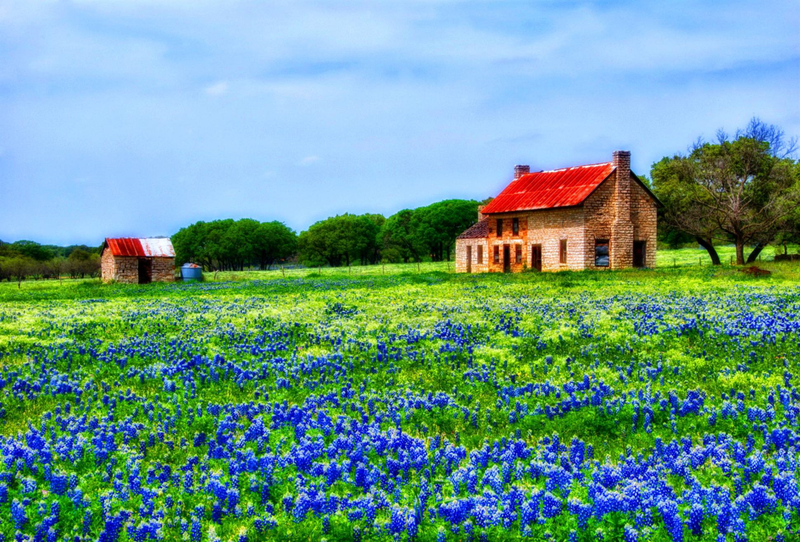 As the realtors are known to say, “location, location, location” – and that is true when it comes to the successful germination and maintenance of Texas Bluebonnets. Geography matters, especially in matters ecological(2) — including wildflowers! One way to ensure successful bluebonnet bloom from seed or transplants is to plant them in an ideal location. Ideal can be defined with one word, sunny. Bluebonnets will not perform well if grown in the shade or in an area which receives less than 8-10 hours of direct sunlight. If grown in a shaded area, the plant will be tall and spindly with few blooms. 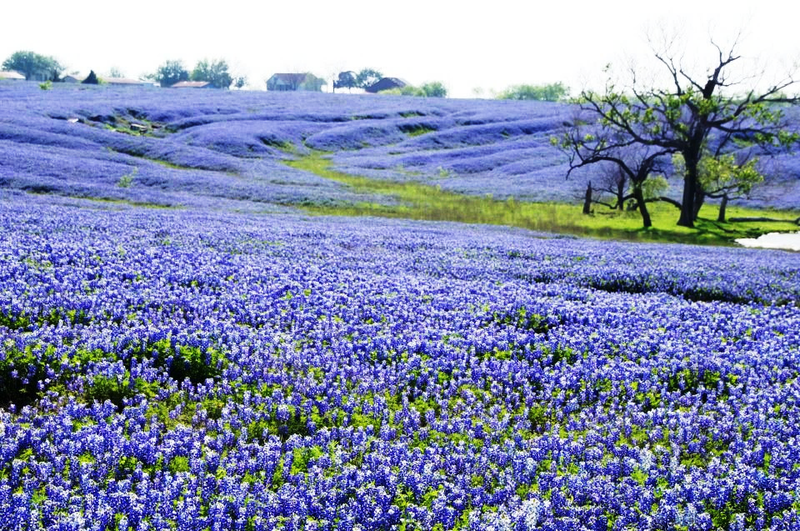 Bluebonnets will thrive in any [Texas] soil as long as it is well drained. 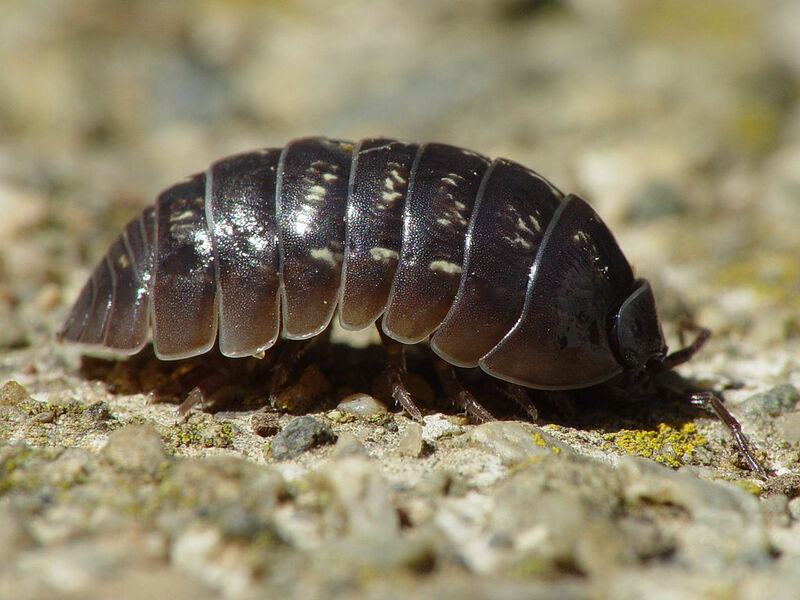 If you are plagued with a sticky clay soil, try building raised (6 inches or more) planting beds and amending the soil with 3-4 inches of organic matter (compost, tree leaves, spoiled hay, etc.). Also remember that during early growth, bluebonnets form ground-hugging rosettes. The whole plant may not be over several inches tall but the leaves may cover an area the size of a dinner plate. This is a natural condition and regardless of how much one waters or fertilizes, the plant will not grow rapidly until the warmth of spring initiates flower stalks. It is also natural for the lower leaves to turn a crimson color after the first freeze. Beneath the rosette of leaves, a large mass of roots is growing. These roots have the ability to form nitrogen-fixing nodules [how convenient is that?!] which are filled with beneficial bacteria that can take nitrogen from the atmosphere and feed the plant. This means that fertilization can also be kept to a minimum. 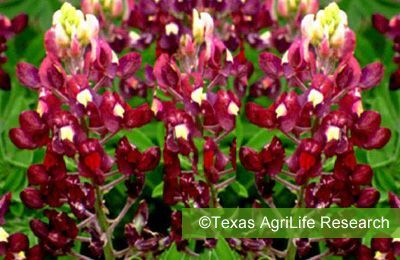 No additional fertilizer needs to be added to bluebonnet planting beds since most established planting beds have an abundance of plant nutrients remaining from fertilization of previous crops. Consequently, regardless of the original food-web equilibrium, Texas Bluebonnets must be resilient enough to survive the hungry herbivores of this fallen world, such as various voracious bugs that gobble flowers of the fields. Within the genus of Lupinus there are varieties that sport more colors than just royal blue, thanks to the dominant and recessive genes that code for blossom colors — which God artistically incorporated into the original lupine genome. In 1982, a terminally ill entrepreneur and Texas naturalist named Carroll Abbott, known to some as “Mr. Texas Bluebonnet”, implanted in the mind of Extension horticulturists a dream of planting the design of our state flag comprised entirely of the state flower to celebrate the 1986 Texas Sesquicentennial. This seemingly simple proposal and what has been involved to make it a reality have involved thousands of people, created a multi-million dollar agricultural industry, generated tremendous publicity for Texas A&M, and is still producing new products and wildflower knowledge with no apparent end in sight. 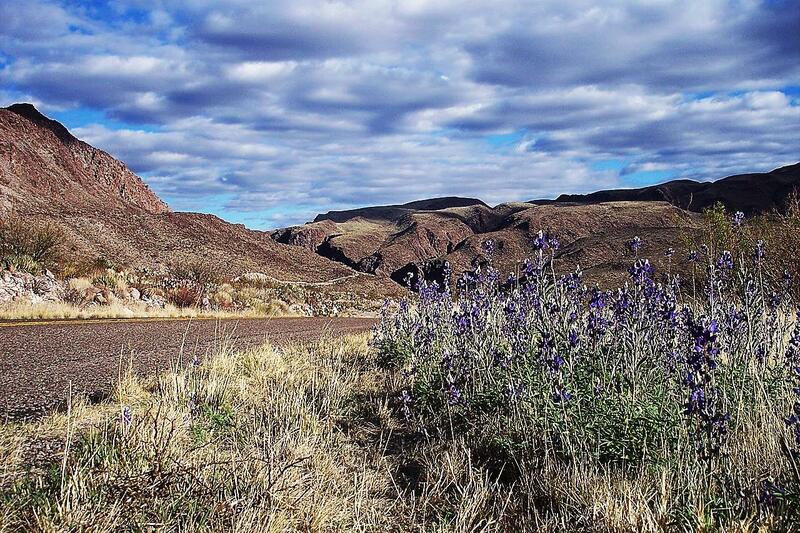 Since the beginning, development of unusual bluebonnet color types has been the main driving force of this project. All of the other developments including bluebonnet transplants, rapidly germinating, chemically scarified seed, commercial seed production and early-blooming plant types were all necessary ingredients needed to find and proliferate the colors needed (blue, white and red) to plant the initial floral goal, a Texas state flag. BLUE: The blue bluebonnet was, of course, already available. The only thing needed to be done with this color was to enhance seed germination and formulate a commercial production technique which would ensure a dependable seed supply. WHITE: The white strain of bluebonnet was familiar to most local botanists yet still unknown to the majority of Texans. Photographers always treasure the opportunity to find a rare white albino bluebonnet nestled among the blues to enhance their artistic attempts. Consequently, many people knew where white populations existed. PINK: The development of a pink bluebonnet was thought to be an impossible task. Even Carroll Abbott considered location, purification and proliferation of the pink, and eventually red, bluebonnet a bit farfetched. This great plantsman had roamed the fields of Texas his entire life and had seen only three pink bluebonnet plants. Most of his native plant friends had never seen even one! In searching for the pink strain, the same criterion used to successfully locate and purify the white bluebonnet strain was used. People were told to collect only seed from pinks in large groups so that natural selection would have already bred some of the blue out of the pinks. However, the pinks were indeed so rare that only four locations throughout the entire state were reported. The “mother lode” of pinks was found within the city limits of San Antonio. Once a gene source was located the pink and shades thereof were added to the bluebonnet color spectrum. Because the pink strain of bluebonnet was so rare and so special, it has been named after the mentor of this project. The ‘Abbott Pink’ bluebonnet is now a reality. Its unique and subtle beauty will always serve as a reminder of Carroll Abbott’s dedication and inspiration to all who love and appreciate nature’s rarities. Some might wonder: how can these wildflowers be tinkered with to produce these others colors? If a flower is “naturally” blue, so it’s well-known as a “bluebonnet”, shouldn’t it “stay” blue? However, to say that the flower is “naturally” blue presupposes some assumptions about the built-in genetics of the flower – yet exactly what kind of variability did God design into the flower’s genotype, to enable it to be expressed (visually) with a phenotype of different colors – such as red, white, blue, pink, and even Aggie maroon? 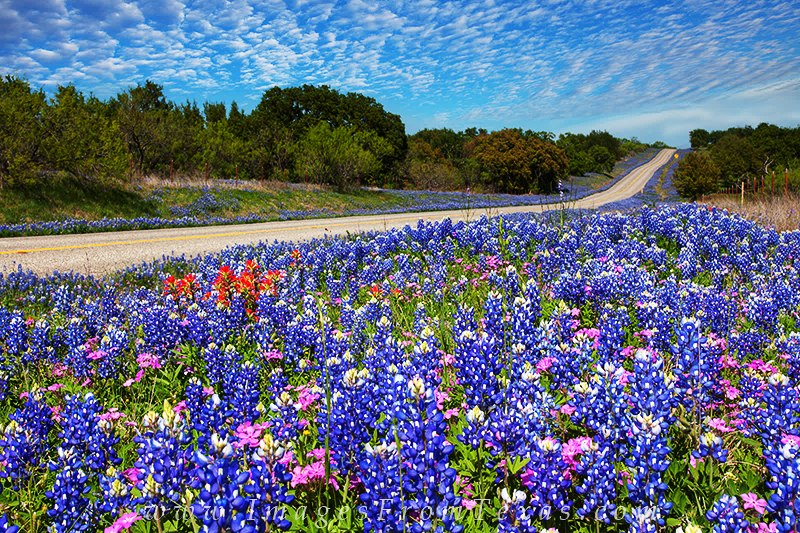 The additional colors of the state flower were not genetically created by man; these colors have existed for as long as bluebonnets have bloomed. The additional colors, which already existed in nature and have for hundreds of years, were simply isolated, purified and grown in large numbers. No plant breeding or genetic manipulation of bluebonnets has been done except by God. All of these colors have been developed to enhance the Texas state flower. ALL of these colors, by law, are legally the state flower [since Texas law designates all varieties of the Texas Bluebonnet as “the state flower”]. Now, for the first time in history, color patterns of the state flower can be planted and enjoyed. And, since these colors are all naturally occurring selections, they complement each other perfectly, making design and color selection almost fool-proof. There is nothing prettier than a mixed bed of pink, white and blue bluebonnets. Through working with Mother Nature [OOPS! — the phrase “Mother Nature”, here, is a nonsensical appellation here, failing to give credit where credit is due! 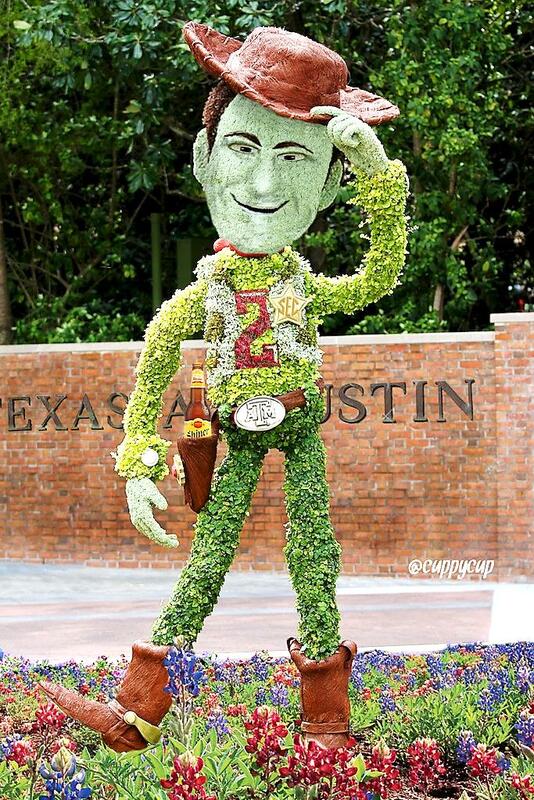 – in the previous paragraph, however, the authors said it right – God], the Texas state flower can now be raised to new heights of beauty and enjoyment. But there’s more to marvel, because this lupine ornament fertilizes the Texas soil, by providing organic nitrogen needed throughout local food-webs. It’s ironic that the name Lupinus is derived from the Latin word lupus, meaning wolf. In fact, at one time bluebonnets were known as wolf flowers because they appeared to devour the soil, as they were often found growing in thin rocky soils which didn’t support any other plant life. But it was later discovered that bluebonnets did not rob, but enhanced the soil. In nature there exists a form of natural fertilizer which is pure and clean. It is the fertilizer, especially [compounds of] nitrogen, produced by soil organisms. The best known of these nitrogen-fixing soil organisms is a bacterium, known as Rhizobium [a/k/a the Rhizobia, because there is a group of similar bacteria that share the same genus name], which lives on the roots of legumes such as clover, alfalfa and vetch. The relationship between this bacterium and the plant is referred to as symbiotic [or, more accurately, as “mutualistic”], meaning that both organisms involved benefit. The plant receives the much needed nitrogen from the bacterium which has the ability to take nitrogen from the air. The bacterium, in return, lives on the roots and receives life support from the plant. Man benefits as well because the plant, which has been nurtured by the bacteria-formed nitrogen rather than applied fertilization, can then be utilized as a nitrogen source when the plant tissue decomposes. The nitrogen produced from this system is “clean” because there is no salt or chemical toxin potential. 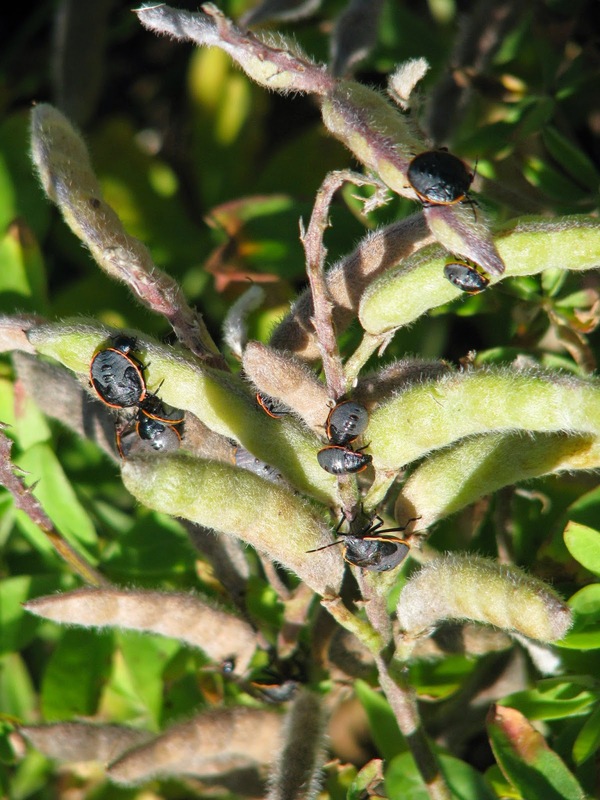 The use of legumes specifically as a source of nitrogen [i.e., as a source of organic nitrogen compounds] has not been a common practice in Texas. The main reason for this has been the expense involved in their establishment. So, to sum up what the Aggie researchers have documented about Texas Bluebonnets, consider the following horticulture/agriculture facts about planting and maintaining bluebonnet flowers. • Plant in full sun, in soil which drains well and doesn’t stay wet for long periods of time. Rather, Texas Bluebonnets – by the glamorous gazillions, by their very exquisite existences — collectively and individually demonstrate(6) how God loves and makes beauty, in Texas fields – as if Texas Bluebonnets were a huge and festive garment for some of the semiarid soils of the Lone State. 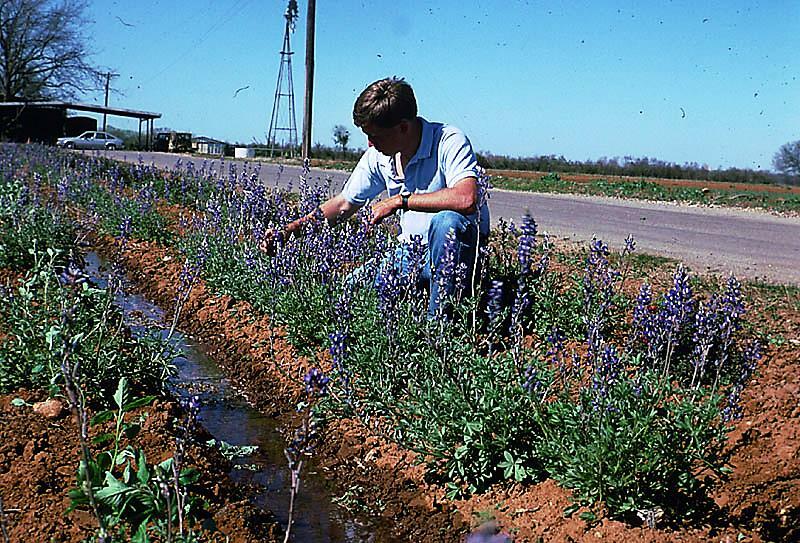 So there is a lesson to learn, here, from the diligent efforts of Texan horticulturists who try so hard to plant and maintain Texas Bluebonnets – as they intelligently select, sow, and maintain growth from the right kind of seeds, planted in the right kinds of soils. No wonder the Lord directed His followers to study, to learn about, and to thoughtfully analyze His providential programming, as it is daily displayed in His marvelous and multifarious (and artfully painted) wildflowers, such as Texas Bluebonnets. 1. Quoting Jerry M. Parsons, Steve George, & Greg Grant, “Texas Bluebonnets – Texas Pride”, Aggie Horticulture (Texas A&M AgriLife Extension, n.d.), posted at http://aggie-horticulture.tamu.edu/archives/parsons/flowers/bluebonnet/bluebonnetstory.html [emphasis added], accessed 9-8-AD2016). This article on Texas A&M research and analysis was provided to me by Jared Watkins. 2. See James J. S. Johnson, “Geography Matters, Illustrated by Pronghorns, Mountain Goats, and Old Testament Warfare”, posted at https://bibleworldadventures.com/2016/08/17/geography-matters-illustrated-by-pronghorns-mountain-goats-and-old-testament-warfare/ . 3. Compare Genesis chapter 3 with Romans 8:19-22. 4. See Michael McDowell, “Untold Stories of 2013: When Insects Attack!”, Plano Prairie Garden website (accessed 9-9-AD2016), posted at http://planobluestem.blogspot.com/2014/01/while-we-wait-for-spring-to-come.html (photograph reposted under Fair Use statute of U.S. copyright law). 5. Regarding the problem of animistic mysticism parading as “science” falsely so-called (1st Timothy 6:20), see generally Randy J. Guliuzza, “Natural Selection Is Not ‘Nature’s Design Process'”, Acts & Facts, 39(4):10-11 (April 2010), posted at http://www.icr.org/article/5295/ — as well as Randy J. Guliuzza, “Darwin’s Sacred Imposter: How Natural Selection Is Given Credit for Design in Nature”, Acts & Facts, 40(7):12-15 (July 2011), posted at http://www.icr.org/article/darwins-sacred-imposter-how-natural/ . 6. It is noteworthy that each Texas Bluebonnet flower is a stand-alone exhibit of God’s glorious Creatorship, so the entirety of all Texas Bluebonnets – past, present, and future, anywhere in Texas – “testifies” collectively as a virtual galaxy of silent (yet beautiful) witnesses that provide piled-on proof of God’s glory (illustrating Matthew 6:28-30). Regarding this cumulative (and super-redundant) proof of God’s glory, consider similar logic analyzed in James J. S. Johnson, “Quintillions of Creation Witnesses: Blood Service Agents Testify for Creation”, Acts & Facts, 40(5): 8-9 (May 2011) (“Do not think of blood cells as one or two “generic” witnesses to God’s creativity and bioengineering handiwork. No, every single blood cell in the world today—wherever and for whomever it is doing its God-appointed work—is a stand-alone proof of God’s creation. Each of these quintillions [itself] testifies that God is our Creator!”), posted at http://www.icr.org/article/6045 .